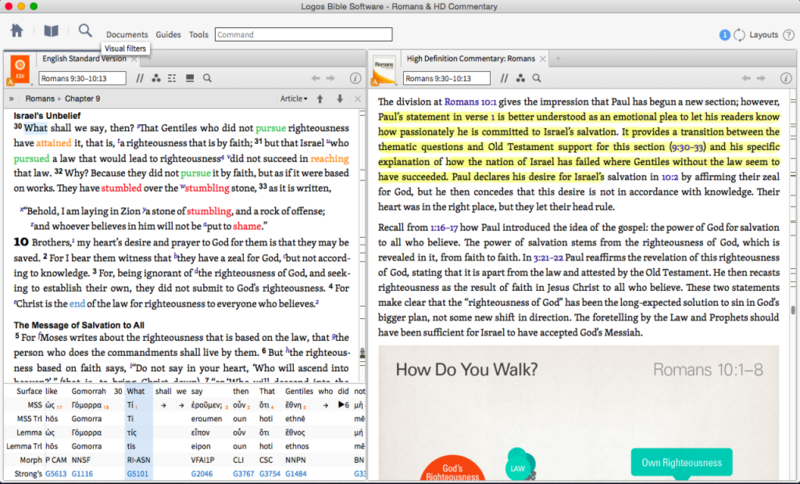 This is a digital book, fully integrated with Logos Bible Software. This commentary is less interested in other scholars, details of theology, or word studies. Instead, Runge – an expert in discourse analysis – applies these insights to the text, so that “by looking at how Paul phrased things in Greek, we can see the progression of his thoughts” (p1). The emphasis is on how Paul communicated, not just what he communicated. Runge writes in a very accessible and down-to-earth style. There are no footnotes and no acadamese. So the insights of discourse analysis are brought down to the lower shelf so that all can enjoy its benefits. Each section of text also includes 2-3 graphics drawn from the content of the text. We’ll begin by with the commentary proper. One of my deepest concerns when I study Scripture is to ensure that I am paying attention to the flow of the text (I recommend Bible arcing). This is so important, but sadly, so often neglected. Even more surprising is that commentators sometimes fall into this trap as well, by commenting on each verse in isolation. 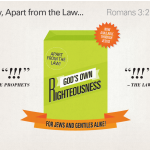 It is common to read Romans for the “key verses” or the “Romans road”, but do we try to follow Paul’s own rhetorical logic? This is exactly what Runge is attempting to do here. Runge is interested in how Paul communicates, so in numerous places Runge will draw out the rhetorical strategy in Paul’s words. For example, in discussing Romans 2:1-3, Runge highlights that Paul refers to one “passing judgment” three times, but delays his third repetition as “a rhetorical delay tactic, drawing extra attention to the important idea of supposing to escape God’s judgment” (p39). It separates “do you suppose” from Paul’s uncomfortable implication that they will not escape God’s judgment of them. This delay tactic makes the punch hit harder when it lands. Paul has not only carefully chosen his words, but also the arrangement of his words to support his point; Runge’s commentary is incredibly fruitful in drawing out these insights. I do wish at times that I saw more of Runge’s “working out” rather than merely his conclusions, but that would have resulted in a less accessible commentary. Keeping the focus on the how rather than the what is appreciated and what sets this commentary apart. For the most part, he avoids the controversial what questions. 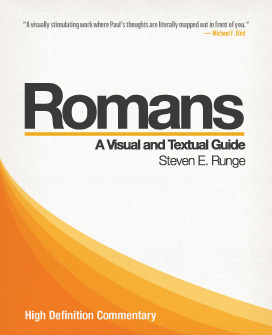 For example, Runge’s take on Romans 9 is balanced and sticks to the text, avoiding more controversial points of interpretation. However, there are times where a theological view of the text must be taken. 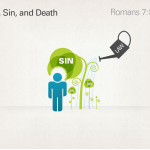 For example, Romans 2:14-16 results in different implications depending on how one reads it. The nature of this commentary prevents Runge from examining other options and he simply presents one view (the traditional one) as if it were the only way of reading the passage. Again, this is due to the nature and aims of the commentary, but it is worth noting. Next, the graphics also set this commentary apart. These serve a supporting role to Runge’s commentary on the text and for the most part they illustrate the text helpfully. These graphics are especially helpful at making a point memorable. 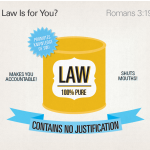 The majority of the graphics illustrate the text of Romans but also sometimes they visualize an idea from Runge. Logos Bible Software integrates these graphics with one’s presentation software (e.g. PowerPoint), to make it incredibly easy to insert these into a slide. 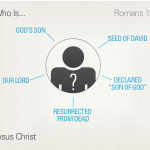 At times there were a few missed opportunities, such as the graphic for Rom 1:3-4 (see left). 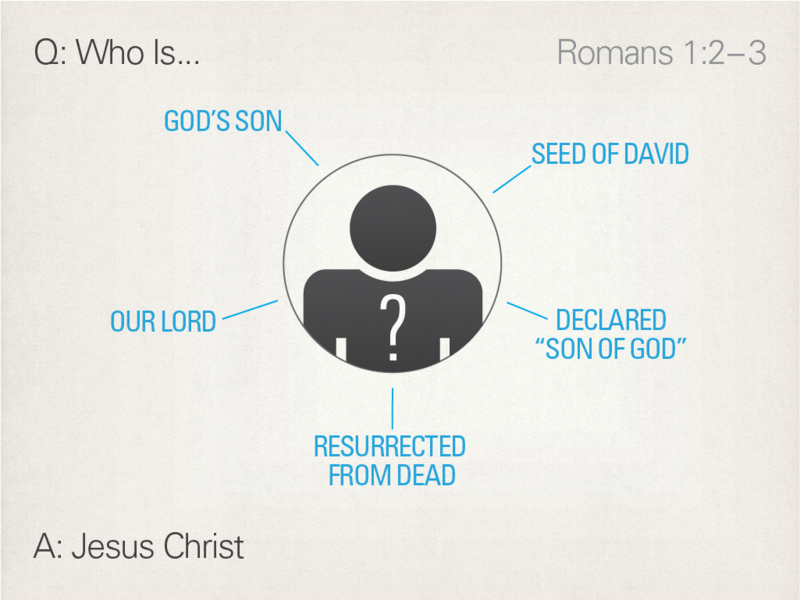 Rom 1:3-4 is not simply a list of titles for Jesus, but is made up of two parallel lines that describe two stages to Jesus’ incarnational existence: son of David according to the flesh, and Son of God in power according to Spirit by His resurrection. These verses can be difficult to explain, so a visual illustration of the parallelism would have been immensely helpful here. There are a few areas in which the graphics could improve. First, many of the graphics simply visualize a passage but don’t necessarily aid in understanding something difficult in the text. Second, I would like more visual representation of Runge’s insights from discourse analysis, since this would aid the main purpose of the commentary by illustrating how the text functions rhetorically. Third, a layout of the letter’s overall structure would have been helpful also. Surrounded by pixelated monochromatic commentaries, Steven Runge’s Romans is truly high definition. 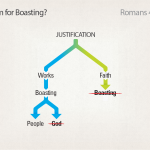 The commentary and graphics work hand in hand to provide a unique and valuable asset for understanding and teaching Romans. This commentary is highly recommended for teachers and pastors. While it meets its aims, it does not do everything. This will need to be supplemented by an exegetical commentary for the more technical interpretative needs. However, Romans is a welcome addition to the teacher’s arsenal. Many thanks to Lexham Press for providing a copy in exchange for review. Their generosity has not affected my opinions of the book.